I remember almost rebelling when I read about Sirius Black’s fate. I mean as if Harry didn’t already have enough tough things to deal with. 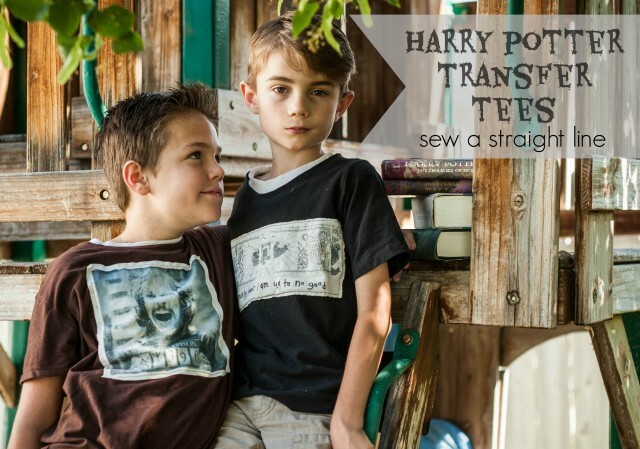 So I am just a little in love with Sabra’s Harry Potter Transfer Tee Tutorial. If you don’t know Sabra’s blog Sew a Straight Line she’s the boy clothing sewing MASTER. I mean she makes her cute little girl and herself stuff too but it’s hard to find creative cool clothes that guys will actually wear. These tees are so awesome I think Teddy might need a onesie version. 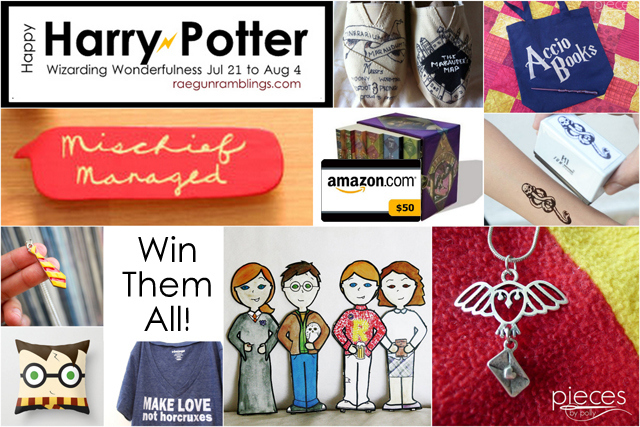 And then whats Potter without the golden snitch Lara from Overstuffed Life shared the daughter she made from her daughter. It’s so cute. Remember the one I made for myself last year? Yay way cuter on a kiddo than a prego lady right? I love the feathery wings she used! 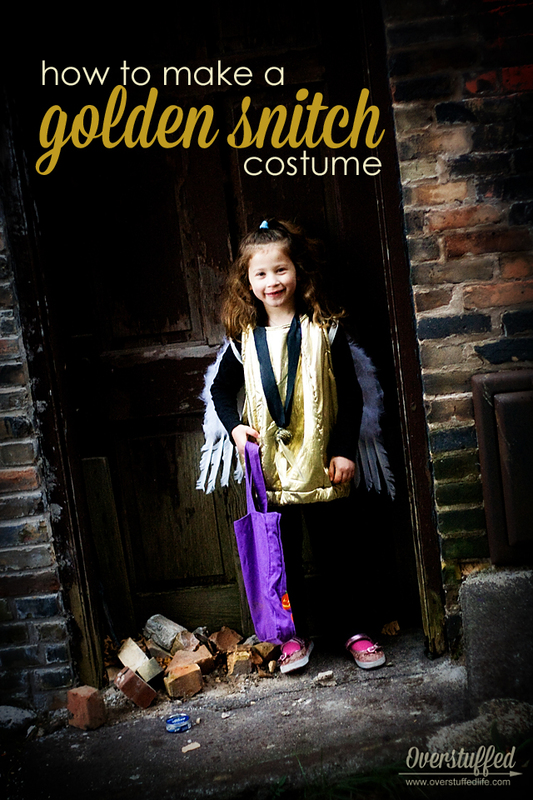 Check out how she made this simple and inexpensive but still totally awesome Snitch Costume! 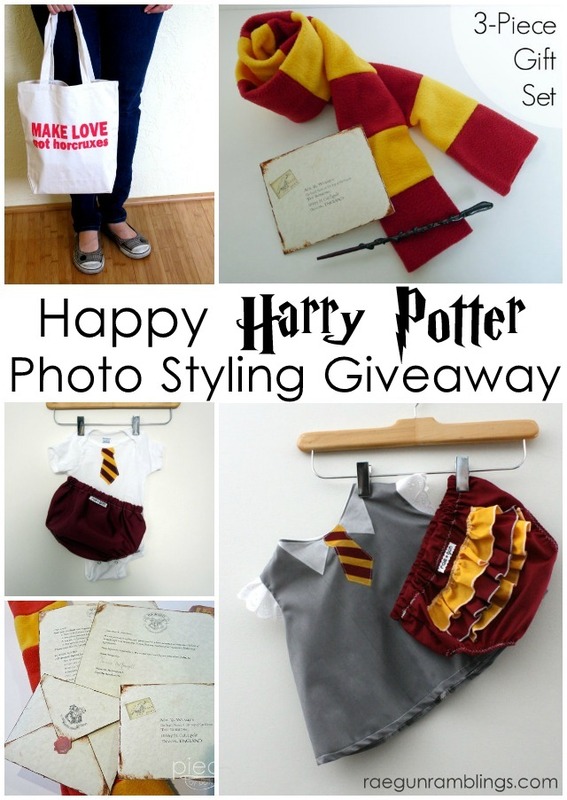 Thanks for hosting a Harry Potter giveaway. I just convinced my fiancé to read them and I think he is hooked! This came at the PERFECT time! We just finished watching all of the movies with our 4 & 7 year old a few days ago, and they’ve been casting spells like crazy throughout the house. My 4 year old son is wishing on a star to become Harry Potter himself! :) Thank you for the giveaway!